You can help. Even if you just do one thing. Two billion cups of coffee are drunk every day. I for my small part contribute to that total. Coffee has become a staple part of my existence, dare I say an addiction that I now rely on to kick-start my brain and body into action. Ethiopia is the largest producer of coffee in Africa. 15 million people depend on coffee for survival in Ethiopia. It represents 67% of their export revenue. The problem is that the Ethiopian coffee farmers don’t get paid enough by the West to survive. Last week I watched Black Gold which is a film about Tadesse Mesekla who is the General Manager of the Oromia Coffee Farmers Co-operative Union. Tadesses’ job is to negotiate with coffee buyers so that they pay his farmers a better price than that currently set by the international commodities exchange. 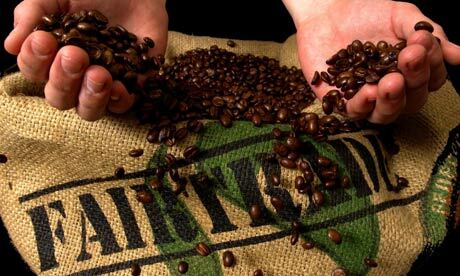 In 1989 the International Coffee Agreement, which was responsible for regulating coffee trade prices collapsed. Since then coffee trade has not been regulated. Today the market is dominated by 4 multi national companies, Kraft, Nestle, Proctor and Gamble and Sarah Lee. A cup of coffee in western countries costs approx US$2.90. A kilo of coffee produces 80 cups. 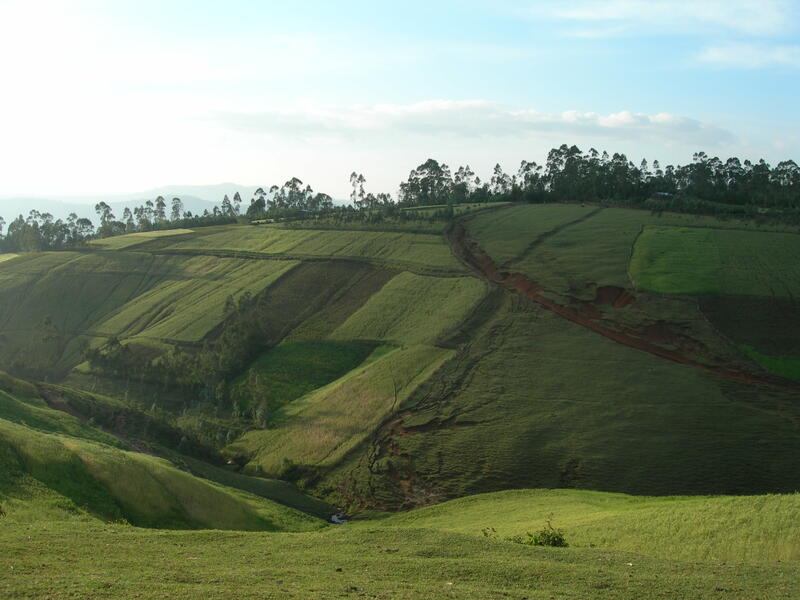 The Ethiopian farmers receive US$0.24 per kilo. You don’t have to be a maths genius to spot that the west are massively exploiting the Ethiopian coffee farmers. Since 1990 the coffee retail market has increased from US$30 billion to US$80 billion, yet the farmers do not see any of this income. Tadesee is negotiating so that the coffee farmers can make enough from their coffee to enable them to live; to eat, to have clean water, to buy clothes and send their children to school. As Tadesee puts it, “not for motorbikes”. This isn’t for luxuries but for the essentials that many of us are privileged enough to take for granted. An increase, for example to just US$0.50 per kilo would change the Ethiopian coffee farmers lives beyond recognition. The sad truth is that Ethiopian farmers cannot survive on what they are currently paid for their coffee crops. Many are now growing chat instead of coffee. Chat is a mild narcotic plant banned in the US and most of Europe. It has a greater market value that will enable the farmers to afford to eat and have clean water. It’s a question of survival. The Ethiopian coffee farmers should be paid a fair price for their coffee. The west should not be exploiting them. You can help. Even if you just do one thing and only buy Fairtrade coffee products. Learn more and watch the movie. www.blackgoldmovie.com or check out the following websites. This entry was posted in coffee, ethiopia, fairtrade, fundraising, health and beauty, Inspiration, Life and Death, travel and tagged banned, black gold movie, breakfast, cafe direct, cappuccino, chat khat, coffee, decaf, ethiopia, fair, fairtrade, fairtrade foundation, farmers, filter, help, kraft, latte, luxury, morning, narcotic, nestle, proces, proctor and gamble, retail, sarah lee, starbucks, tadesse, take away, toasted sandwich, trade, west. Bookmark the permalink. For us this is very hard to support as we do not strongly support coffee consumption. To a degree this is comparable to supporting tobbaco, poppy or like farmers in other nations. Not in our cards. Moreover this looks like a bandaid at a macro level and enables the present system to survive and does not spur or stir econmic diversity. No doubt much more root concerns leading to their issues. In a few short months we will be launching our book “TIME…For Best Deeds and Words” (see booktrailer) along with other fund raising activities. Cases such as this are worth considering, but may need to meet futher tests.